Investment in stocks that are bought into large companies around the world is becoming increasingly popular. But not everyone, even a businessman, is so well versed in the stock market that he can make good profits. Because stocks of so many different companies are on the market, so a stock market here is hard to keep track of. But the professional brokers are there, where only one account is opened and then the best possible purchases and sales of the shares are carried out for the customers. Therefore, it is also worthwhile for ETX Capital to take a closer look at anyone who wants to speculate on the stock market and, above all, to make profits. Experience with ETX Capital shows that a fast, one-minute trade is assured and also pursued. This means that the investor is always up-to-date with his purchases and sales of shares. Because of the small minimum trading volume of 10,00 Euro, everyone can really put their money in a reasonable way. This small amount also ensures that in the worst case scenarios there can be no high losses. But, of course, it is up to each trader to decide what value he wants to trade. The brokers follow exactly the instructions of the respective trader. The trade is possible at any time and while on the road, the hotline is available 24 hours a day. High returns of up to 100% convince traders to trade in binary options when they choose ETX Capital as their broker. 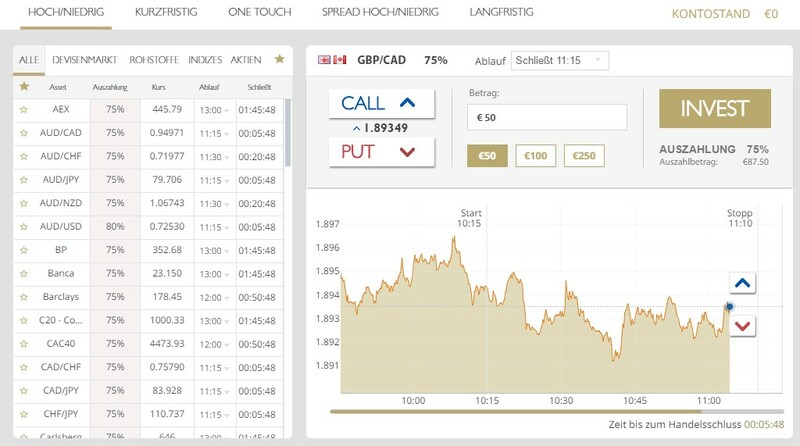 British broker deals with Forex, CFDâ€™s and Binary Options. This allows customers to open and maintain multiple accounts at the same time for the various areas without having to re-register again and again. You simply swap back and forth between your accounts, without having to enter the login information again and again. Especially those who are not yet familiar with the stock market need perfect support, which has a direct answer to all the questions about the investing. The British company has also recognized the situation and offered support not only in English but also in German. It is only for new customers that they have to stick to business hours when they have questions about the opening of the account or other questions before they enter into a business relationship with ETX Capital. For existing customers, the hotline, also in the German language, is open 24 hours a day. Also, an e-mail address is a provided, which is important when a customer does not have access to the telephone. Important questions and the answers to these questions, which are often asked, are already made available to all on the FAQ page. A small vermouth drop is here, however, that no live chat is available. But the constantly available hotline is a compensation for this small shortcoming. Answers to common questions, are already made available to all on the FAQ page. Even though ETX Capital forces transparency, as can be seen on the company’s website, this is by no means the case for customer data. These are always treated with the greatest possible security. However, transparency is also meant by the fact that the company itself does not have to hide behind any nonsense or spongy utterances. Here everything is explained in detail with regard to legal notices, GTCs or risk statements. Data protection and other security measures are specifically targeted. It is precisely this clear information and the clarity that provides the customer with a great security. The traderâ€™s data is only used for inquiries and for his own account management and never published to third parties. Trader deposits are also very secure with the British company. The British supervisory authority is one of the strictest in the world. Thus the trader deposits are protected up to an amount of 50,000 GBP. A further security aspect is, above all, the separate management of customer deposits and company assets. The management of customer deposits is carried out on accounts of British and German banks. When registered, trader can open various accounts. Which special trading platform is suitable for a trader and if several different accounts are to be opened, can be decided together with the support of the hotline. There is no defined minimum deposit amount. The deposit on a newly created account or already on an existing account can be put by the trader through a simple bank transfer or via the credit cards Visa and MasterCard, but also a Maestro Card or a Solo Card. Other payment methods are not possible. The payment is made by ETX Capital only at the customer’s request and this also only to an existing bank account of the customer. The company offers a free demo account to all customers. 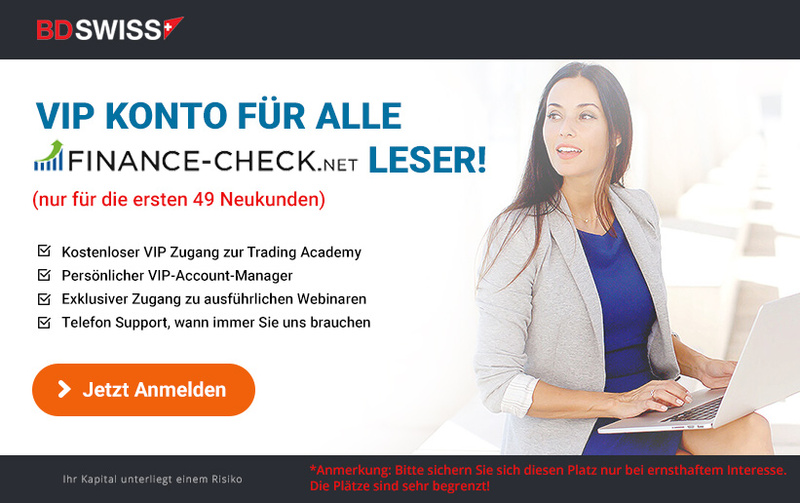 It allows newcomers to learn how to deal with the offered accounts without trading with real shares and dealing with real money. Thus, nothing can go wrong and a customer who tries to learn wonâ€™t lose any money in the process. This is possible, however, for only 14 days, but during this time the customer can take as much access to the demo account as he or she wants. In addition, not only new customers are offered a comprehensive range of learning material, ranging from events through training courses to webinars. ETX Capital offers all its traders an app for IOS or Android smartphones, which also offer access to their own accounts and the markets. In this way, a traders can change their order from anywhere and open or close positions. 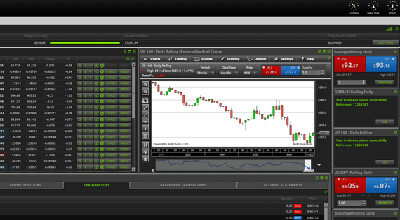 There is also a chart module for the simple analysis of the charts. This means that even those who are constantly mobile, are always there. This means that commodities, foreign exchange, and over 3,000 shares can be managed at any time. While ETX Capital also relies on the 60-second trading, long-term options are also available. These are possible with terms of up to one year. ETX Capital offers investors, in addition to a maximum security, large profits and returns in stock trading. Simple, quick and easy for all customers, which is the company’s motto not only on the paper, but also lived by itâ€™s employees. They make it as simple as possible for the trader to invest his money in shares and multiply it.